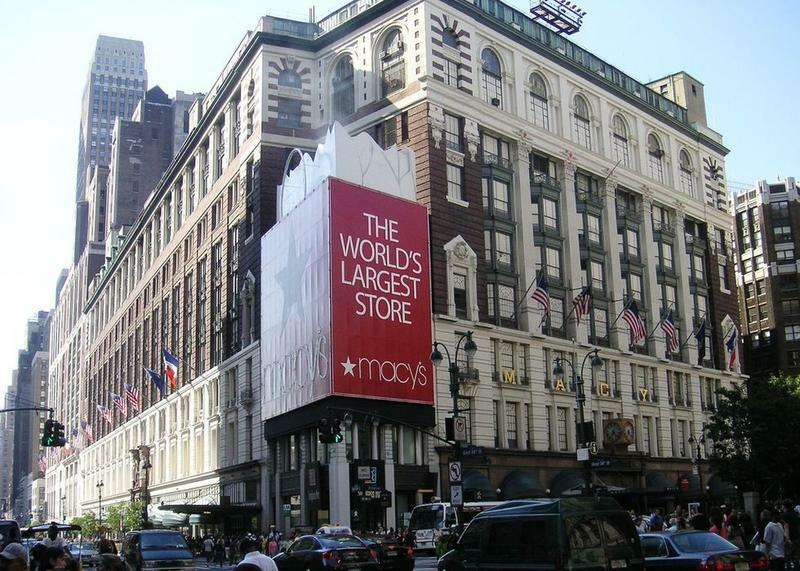 Built between 1920 and 1930 by Otis Elevator Company, which pioneered the machinery, these wooden escalators can still be found in good working condition at Macy's Herald Square, the world's largest department store. 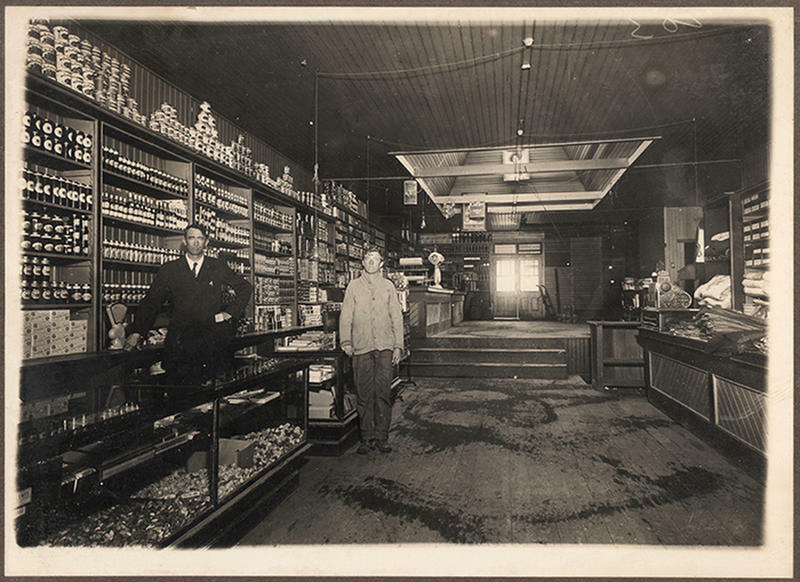 When the store underwent major renovations in 2015, many of its old-world features were upgraded to their modern versions. 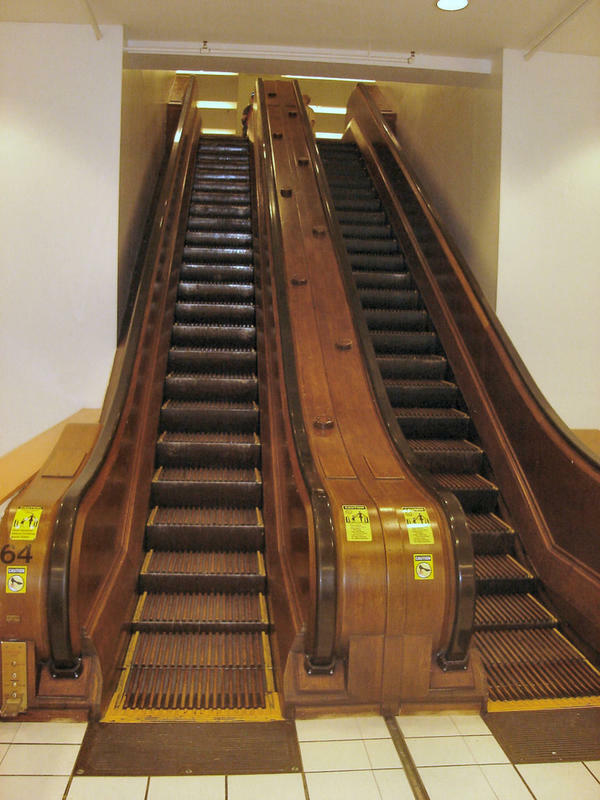 However, a few wooden escalators stayed put. 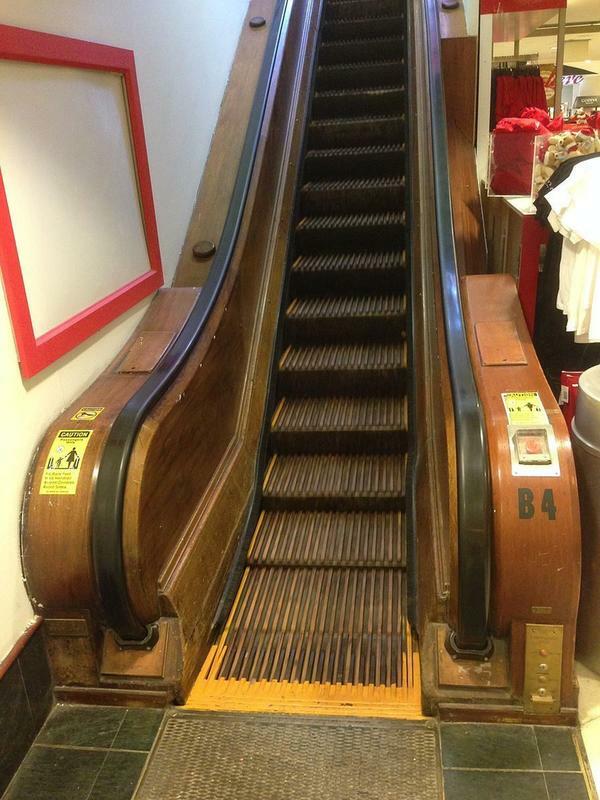 The nearly century-old escalators were made of sturdy oak and ash, wood that’s traditionally used in hardwood flooring. 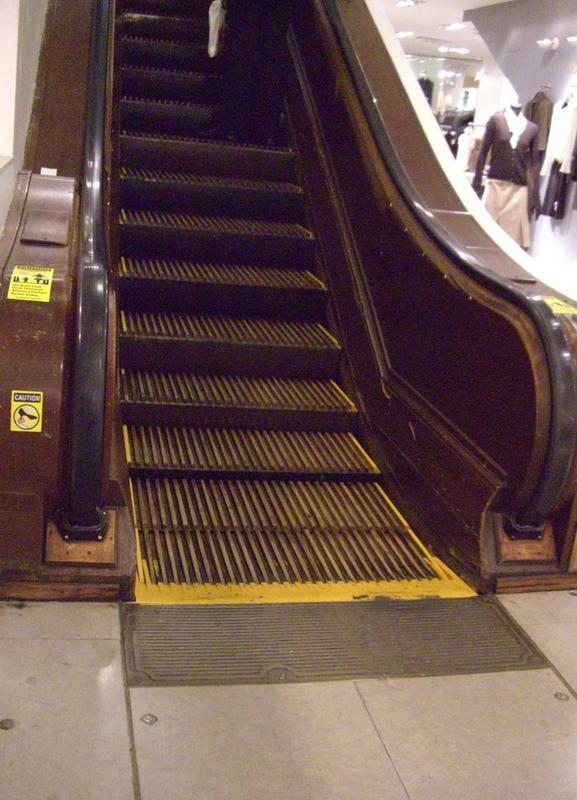 The mechanical parts have, of course, been upgraded, and modern safety measures have been put in place. 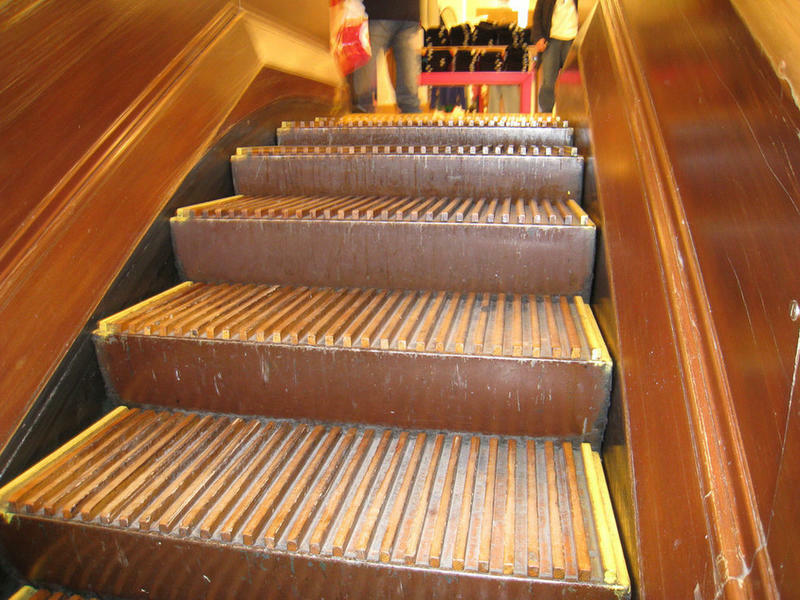 As of October 2016, the wooden slatted escalators on the lower floors were replaced with metal stairs, only the top 2 floors remain wooden. We wonder how long they'll last.